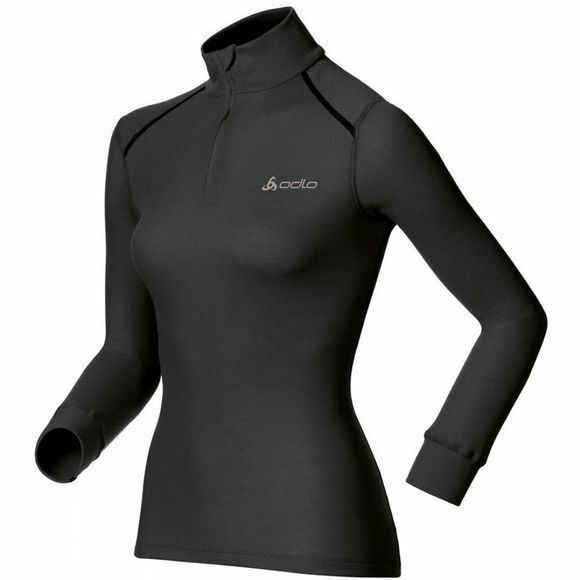 Fine tune your personal climate with this warm, technical baselayer top that expertly blends the snugness of a turtle neck with the ventilation of a half zip. Created from rapid-drying and highly breathable polyester, this snug first layer features flat-stitched seams, a longer cut at the back and a super-soft brushed inner to ensure a warmer, chafe-free fit. Effect by Odlo fibres are treated with silver ions, creating a permanent antibacterial effect that helps you remain feeling and smelling fresh all day long. High performance fabric combined with the versatility of its turtle/half zip design makes this technical undershirt an essential for warming up and cooling down on winter workouts.